As President and Ceo, Mr. Toth manages company operations with over 4500 clients and 20 advisors in 4 states. He has personally advised over 1000 clients in his 17 year career. He has been a mentor to over 100 advisors. Ferenc has been recognized by several financial and insurance institutions as a top advisor. He was honored 4 consecutive years as a top 10 advisor nationally with American Investors. Mr. Toth is a General Agent (G.A.) for Ameritas Life Insurance Corporation. G.A.’s are among a small class of agents who are required to have an expert level of experience and knowledge, spanning the course of many years. He is a Certified Medicaid Planner and is nearing completion of his Certified Wealth Preservation Planner designation. 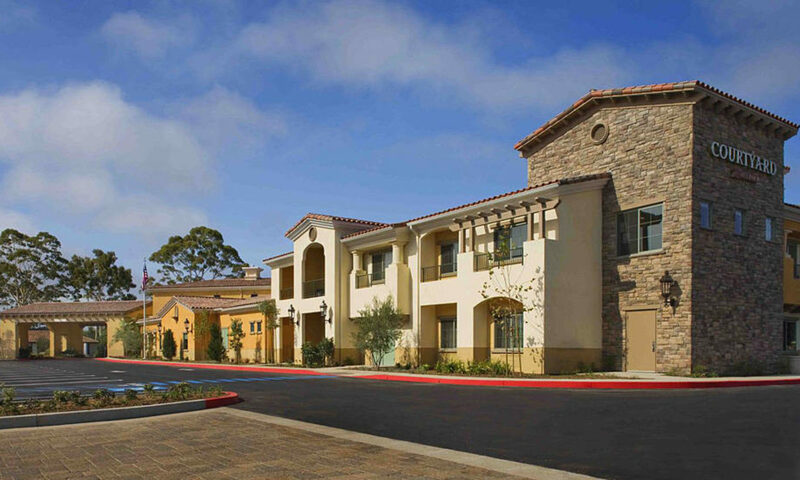 This will make it possible for Secure Estate Management to provide even more retirement plan options to their clients and allow Mr. Toth to give continuing education credits to CPA’s as well. M. Toth has qualified for the Million Dollar Roundtable every year he has been an active advisor. He is passionate about solving problems and creating solutions for his clients. Mr. Toth is devoted to his wife and 2 daughters. One of his daughters is diagnosed with autism. He has a unique understanding for families with special-needs. Protect your hard-earned assets from lawsuits and creditors. Maintain control of yourself and assets instead of the state, courts, and attorneys. Keep more of your retirement dollars instead of giving them to the IRS. Every investors goal is maximizing return while minimizing risk while making sure he/she does not run out of money in retirement. Secure Estate Management is an industry leader with over 200 years of combined experience in securing client’s retirements. Experienced Estate-Planning attorneys in each state we serve. Certified Public Accountants(CPAs): tax advice and preparation services. To continue to successfully aid our clients achieve their retirement goals by providing outstanding service and top quality advisement. 34 Seats left out of 40 – RSVP Now so don’t get left out! Get In FREE – to all meetings if this is your first meeting or you bring a First Time Guest you both get in FREE! Sensei Gilliland has gone from being one of the top ranked martial artists in the United States to operating a fleet of schools and becoming recognized as one of the leading real estate experts in the country. During his school years Sensei Gilliland began training, and was honored as one of the top martial artists in the U.S. for five years in a row. Showing his entrepreneurial spirit early Sensei opened his own martial arts academy his first year out of school. This has now morphed into a network of training academies which he is still actively involved in today. In 1995 Sensei Gilliland broke into the world of real estate investing. Realizing how incredible the rewards were, he quickly scaled his investment activities to buying, rehabbing and flipping houses from coast to coast. Applying the principles he had learned from intense martial arts training and entrepreneurial skills developed as a business owner Sensei began developing a real estate empire which incorporated wholesaling for cash and long term wealth building through rental properties. Due to demand Gilliland broke into real estate consulting and education with Black Belt Investors in 2002. In 2003, his first real estate investment club launched in Downey California, followed up by expanding with a real estate investing club in Corona in 2004 and Monrovia, 2014. ‘ 12 Rounds’ is now recognized as “The West’ s Top Ranked Real Estate Investor’ s Club”. In 2007 Sensei was awarded the Real Estate Wealth Battalion Award, and since 2009 has been an industry authority frequently turned to for commentary on the real estate market. As one of the few that not only made it through some of the toughest years the world has ever seen, but that have continued to thrive, Sensei Gilliland has certainly earned his rank as a true ‘ Real Estate Master’ , and was featured on the cover of Real Estate Wealth Magazine in 2013. Today Sensei continues to be sought out by real estate investors, gurus, and business owners under several brands, for practical, value packed, actionable advice and consulting on investments, business building, and creative financing. 29 Seats left out of 50! We are excited to have Troy Fullwood – Note Buyer – owner of Pinnacle Investments. When I talked with Troy about speaking at our meeting he was very gracious with his time and information. I just happened to be creating a note of my own on one of our properties with a private lender. I gave Troy a rundown on what I was doing with notes and he gave me a rundown on what he is doing with his note buying business. Troy really helped guide me and confirmed that I was on the right path and creating something good for all involved, private lenders, investors, and tenants. Troy has 20 some years of experience with his note buying business and I am sure he will be an excellent educator on the subject. I found an article by Tracy Z below which will help give you a good idea of who Troy Fullwood is and what he is doing with his note buying business. We are pleased to share this investor interview from the Directory of Note Buyers and introduce you to Troy Fullwood, owner of Pinnacle Investments. Troy learned the ropes flipping notes in the late 90s and then started buying notes in-house. Based in Arizona, Pinnacle Investments buys nationwide and will consider both performing and delinquent real estate notes that were created through seller financing or loan origination. What is the current investing focus of Pinnacle Investments? Troy Fullwood: 90% of our focus is SFR first lien 1-4 units Performing and Non-Performing Notes. I got started back in 1997 by flipping notes to the Associates Financial Services. I did that for 2 years before I went and secured a line of credit to purchase notes for myself (It was a great way to earn while I learned the business). What unique benefits does your note buying company provide? Sole decision making process, Quick closing timeframes. What type of real estate notes will your company consider funding? Property Type: SFR, SFNO, MH w/land, Condos, 2nd homes, Townhomes, 1-4 units. Pricing is based on asset quality – each deal is measured on its own merits. 34 Seats left out of 50! 2-27-16 Meeting – YouTube Videos! 2016 Chevy Volt – Update – 13,980 views! Find out what it’s like to Own and Drive a Tesla Model S from Sanjiv Bhalla. The more you know the more you grow. Sanjiv’s first hand experience will shed some light on the Good, Bad, and Ugly, if there is any Ugly, Owning and Driving a Tesla Model S. Sanjiv Bhalla is also an experienced Real Estate Investor and will be happy to answer questions on that as well. Stuart Lewis from SolarCity is coming back to our Saturday SBREIA Meeting. He has a lot of new information on current and future technology that will help save us money and help us on our road to energy independence. You just might find out who the cast of characters are that are striking back on Solar & EV’s so you can continue to cast your Vote to stop them! 32 Seats left out of 50! 2:00pm – 2:30pm – Jeralyn Spommers – Private Financial Inc.
Jeralyn Sommers is President of Private Financial, Inc. She is a licensed real estate broker and maintains an NMLS MLO endorsement. 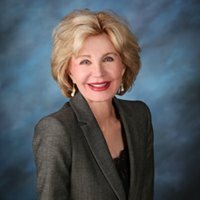 Since 1989 she has consistently been involved in the conventional / private lending field both professionally and as a private investor and as a private real estate investor and manager. Private Financial is based in Los Angeles and is an equity-based lender that specializes in arranging loans with borrowers who, for the most part, are property owners, buyers or entrepreneurs with substantial cash equity in the property, and we also specialize in offering investors above-market returns and a source of consistent investment income. Jeralyn Sommers will cover some of the follow below. Jim Banks has been investing in Probate Real Estate and Probate Personal Property for over 30 years. Started with fixer-uppers then moved into tear-downs and building two story homes. And is the creator of the Probate Investment System “MR. Probate” , which I have lectured and taught nationally, as well as internationally for decades. I have been a Real Estate Broker for over 30 years. Education: Indiana University: undergrad, University of Southern Cal: grad, West L.A. Law School. Jim Bank will cover some of the following below. YouTube Videos now –> online! 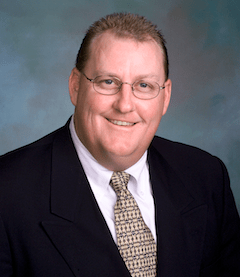 Curt Davis, Director of Sales and Marketing for Buy Memphis Now has an Associate Degree in Business and has been selling real estate for six years in the city of Memphis. He is a licensed Realtor and has achieved Multi-Million-Dollar Club status with KAIZEN Realty two years running. Curt has sold over 500 homes in the past six years alone and has worked closely with Craig for the past three years dealing with domestic and international investors. Craig Jennings, president and founder of Buy Memphis Now is a life-long real estate enthusiast. He started building his personal residential real estate portfolio in his 20s and by 2004 had made real estate a full-time profession, buying the first Memphis HomeVestors, franchise, America’s largest buyer of homes. He quickly built one of the largest real estate wholesaling operations in Memphis and North Mississippi and cultivated a large group of loyal investors in the Memphis area and around the country. YouTube Videos 1-24-15 – now online! 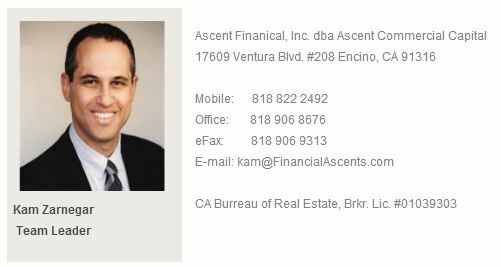 Kam Zarnegar is the financial wizard that actually qualified Dan and Maria Ringwald on the Refinance Loans for their Primary Residence and a Rental in Santa Barbara all at the same time. Dan Ringwald will tell you after trying for years and going through five other lenders in 2014, Kam Zarnegar was the only person and company capable, with enough knowledge, desire, and fortitude to actually close and complete the loans. Everyone else wouldn’t even waste their time with us. We were just too complicated and too close on our Income to Debt Ratio. It was much easier for them to just say NO YOU DON’T QUALIFY! If you are having a hard time getting qualified for a loan I highly recommend Kam Zarnegar. In fact, why waste your time on all the others when you can start with Kam. Why other Lenders can’t when Kam Zarnegar can! 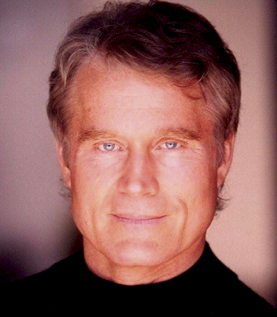 Dr. Gregory H. Tefft is known as the “Mind-Body Connector” by Weider publications and America’s Leader in Personalized Nutrition by the OCN television network. He is a bestselling author, a recipient of the Reader’s Digest Health Awareness Award, clinical bio-nutritionist and wellness expert. Also, Dr. Tefft was on the Sports Medicine staff for the ‘84 Olympics, U.S. National Swim Team, and Race Across America. As a top swimming contender for the US Olympic Team in 1972, he suddenly collapsed, unable to breathe. With a clinical diagnosis of asthma, he ventured from one hospital to the next, and was given a variety of medications just to be able to take the next breath. Believing he’d be on prescription drugs for the rest of his life, his future looked bleak. Dr. Tefft was not willing to accept this sad prognosis. He went far beyond the reach of conventional medicine to heal his asthma. In this process, he uncovered the real truth that each of us has a unique biochemical identity that must be treated individually using natural means (not drugs) for real prevention, true healing, and maximum life expectancy to take place. Through this realization, Dr. Tefft dedicated his life to this specialization as he founded the Personalized Nutrition Consultants (PNC) and also became a triple-crown natural Mr. America as well as excelling in other sports. As seen on FOX NEWS (and other networks), we are very proud and happy to have Dr. Greg Tefft as our main speaker to start off our 2015 SBREIA Meetings. After all, where would we be without our health? In the book, Think and Grow Rich, Napoleon Hill placed health at the top of his list for being successful. “Good Health provides us with the opportunity to enjoy everything else that life has to offer.” Let Dr. Greg Tefft assist us in learning how to take proper care of ourselves through his precise individualization process. An investment in our personal Health and Well-Being is the best investment possible. Dan and Maria Ringwald have actively utilized the Personalized Nutrition Program for a little more than six months. We are very excited with our results and would love to share our experience. Dr. Greg Tefft is also on the Dan Ringwald Social Zing Marketing Team which means he will most likely be back to speak at least once a year. He will cover some of the following below. What’s Holding Us Back from Being Our Best? 23 Seats left out of 50! YouTube Videos 10-18-14 now online! TBA – Members Speak Up! Tell us about your Deals and Business! Social Zing – Social Media Marketing – Don’t miss this opportunity! We are happy and proud to Keith Boley and Roberta Eastman of REI Wealth Academy educating us on The People Model. 3x best-selling coauthor of Wounded, Survive, Thrive!! !, Ready, Aim, Inspire! and Ready, Aim, Influence! which also features Carlos Slim, the world’s richest man. Bringing 20 years of business leadership, her passion for empowering people to focus and to be fearless in moving forward is at the soul of her relationships. Based on her professional understanding of what gets results united with emotional intelligence she steers people to define and get the results they want. I am proud to announce our main speaker for this month, Patrick James, who is speaking on the behalf of Scott Estile. Patrick was the speaker who a number of years ago lead me to my Tax Preparer Scott Estile. Scott wrote the book Tax This. 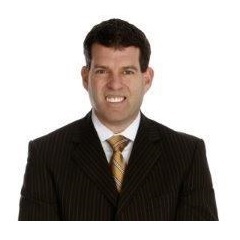 I am very happy with Scott Estile and know that Patrick is a great speaker with a lot of very important Tax information through his own company that will be of great benefit for all of us. Patrick James, president and CEO of United States Tax Releif, LLC. He has dedicated his entire career to helping people create and preserve wealth through knowledge. His marketing expertise was instrumental in launching a tax reduction program with Scott Estill, a former senior trial attorney for the IRS and Anderson Advisors. Together, they created a tax team to teach people how to take advantage of every possible tax deduction in order to minimize tax liabilities and maximize tax deductions. Patrick is a graduate of the University of Portland. In 1997, he became president of a national speaking firm, which specialized in financial education. Patrick has spoken at conferences with Donald Trump, Alan Greenspan, Magic Johnson, Colin Powell and many others. He been a guest on more than 100 radio and television talk shows and has been featured in Newsweek and It’sYour Money (a New York Times best-seller). He was also the recipient of the BusinessMan of the Year 2002. Patrick James will cover some of the follow below. How to Track Your Expenses & Mileage Start giving your Tax Preparer the CORRECT information – This means more tax deductions and more $$ in your pocket! It’s your money, not the IRS – Only pay what you legally owe and not one penny more! YouTube Videos 9-27-14 – now Online! Ben Walls of Invest America was recently speaking at our SBREIA EXPO 4 as seen in the Video Introductions covering the services they provide. We are happy to have him back to educate us on the out of state opportunities for increasing our Return on Investments. As seen at their website above Invest American has lots of Properties, some very Creative Financing, and many other services. Ben Walls will cover some of the follow below.